Let’s start by saying Japan is different to any other country I have visited in the world. 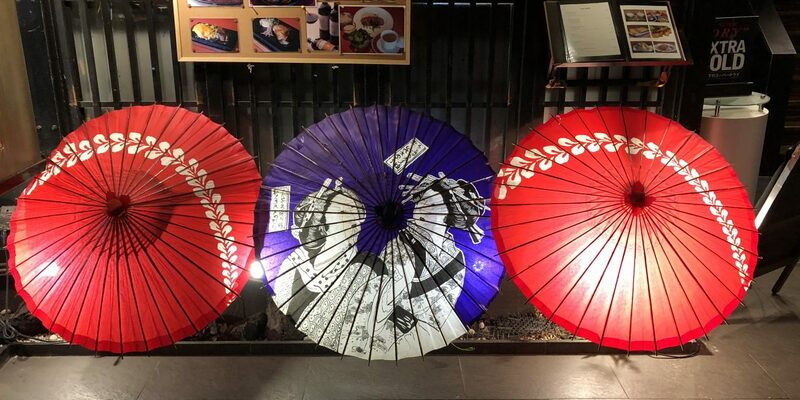 Yes, it may have some similar foods to other Asian countries and you can find Western influences all around. the Japanese love to queue, even more than us Brits! Not being a Japanese speaker, some locations such as Osaka & Kyoto are much harder to navigate than Tokyo as there is far less English on signage, trains etc. Spending days in Japan as a tourist is different to anywhere else. Particularly if you are on a budget! Japan is not a cheap destination, end of story. You can find hostels and ‘cheap’ hotels. We stayed in roughly 3* hotels and that came in at between £100-150 per night for the room, no breakfast included. Before travelling to Japan I read that it is difficult to find cash machines, personally we didn’t find that was the case. Having said that, I more or less never carry cash in the UK and that is not possible in Japan while moving around if you want to make use of most of the transport, markets and cheaper food options. We did a mix of restaurants, food stalls and cheap bento boxes from 7 Eleven and similar shops. We spent around £60 each per day including food, subways and entry to attractions. Hotel rooms in Japan are the most efficient ones I have come across anywhere in the world. Many of them are small but they contain everything you need and everything works! Every room we stayed in had a decent, powerful shower and was very clean. The most irritating thing we found was the 110v electric system. The hairdryers etc in the rooms are not very powerful. Our own electrical items functioned but we’re extremely slow. It takes much longer for phones to charge etc. We had one world adaptor which was great, our second adaptor, despite being listed as suitable for Japan was not! American plugs with splayed lower prongs do not fit in Japanese sockets! Only having one charger combined with the slow charging times can be an issue unless you want to spend hours in your hotel room, or wake up during the night to switch over your appliances!! 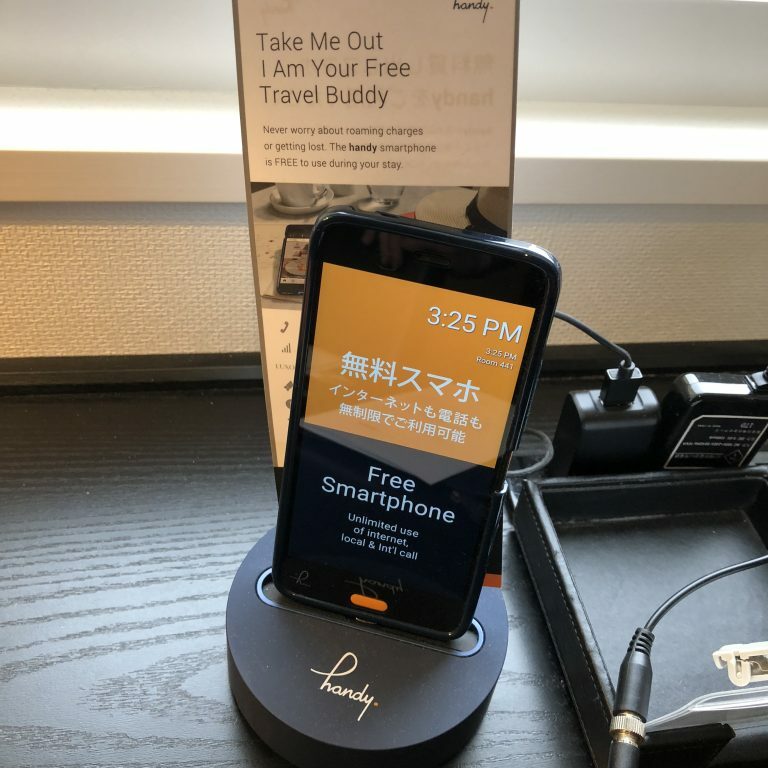 One thing we definitely did not take enough advantage of is the free ‘Handy’ wifi phones that are in most hotel rooms (pictured below). You can take these out and about with you to navigate with, make calls and use the internet. It definitely saves on the international phone bills! Firstly, you constantly see people eating ice cream around Japan. At all times of day, in any weather. Obviously we had to try some and you can see why, bizarrely the Japanese make extremely good ice-cream. I never would have guessed it went with the rest of their cuisine. Kobe beef is without a doubt the best meat I have ever eaten. This is what leads its reputation to precede it. Before venturing anywhere close to Japan we had heard tales of this tender meat. The cows are massaged daily and played classical music to make sure they are as relaxed as possible during their lives. This leads to their muscle fibres never experiencing stress and therefore making their meat extremely tender. 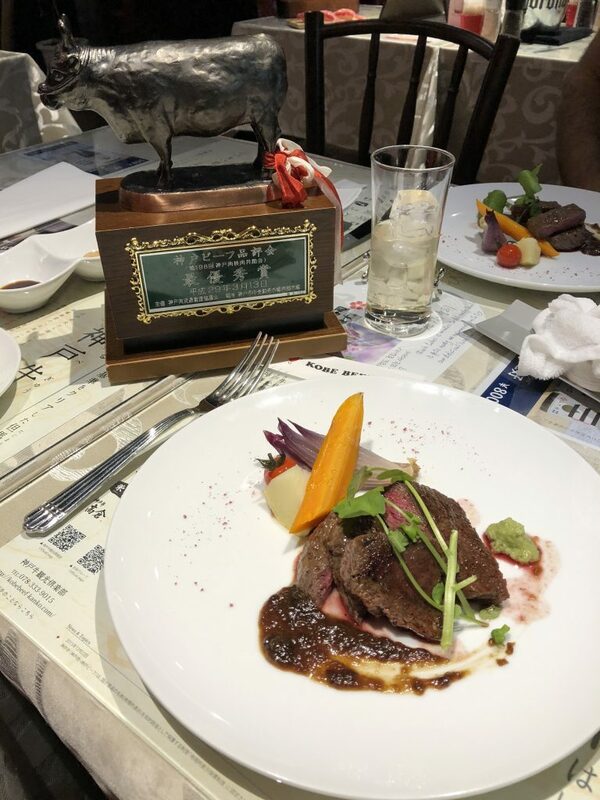 We went on a hunt for a restaurant in Dotonburi that served Kobe beef and did indeed find one where we had a beautiful meal (pictured left). Even the smallest steak in this restaurant came in at £35 per head with the most expensive a staggering £175 for 120g!! We thoroughly enjoyed the experience but a few days later I tried some more Kobe beef with rice from the market also in Dotonburi. It was easily as good, if not better, and only cost around £5 for the meal. Moral of the story being you do not need to pay over the odds to experience Kobe beef! Obviously tea is a huge deal in Japan. They have tea ceremonies with their matcha (green) tea. You can even go to college to spend 3 years learning to carry out the proper style of tea ceremony. Being British I follow the stereotype and really love my tea also. However, I did find that in the morning their was nothing that quite matched up to English breakfast tea! The next best thing i found commonly available was Darjeeling which has a similar taste but not quite the same kick. Beware! If you order ‘tea with milk’ you often get condensed milk which very much ruins your savoury tea. My next tactic was to order ‘tea with coffee milk’. This worked a couple of times until I tried it in Starbucks and received tea with cappuccino froth on it. That also doesn’t quite cut it. In the end I established the only way to order a British style black tea was to order ‘hot straight black tea’ and then to find the little milk pods to add yourself. The quality of food in Japan is out of this world. The best sushi we found was at a tiny stand up sushi bar in Hiroshima. We stumbled across it by accident whilst looking for somewhere to grab a snack and it ended up being very memorable. You are greeted as you walk in and are sown to your place at the sushi bar. Menus are on the side along with ginger, wasabi and soy laid out in front of you. 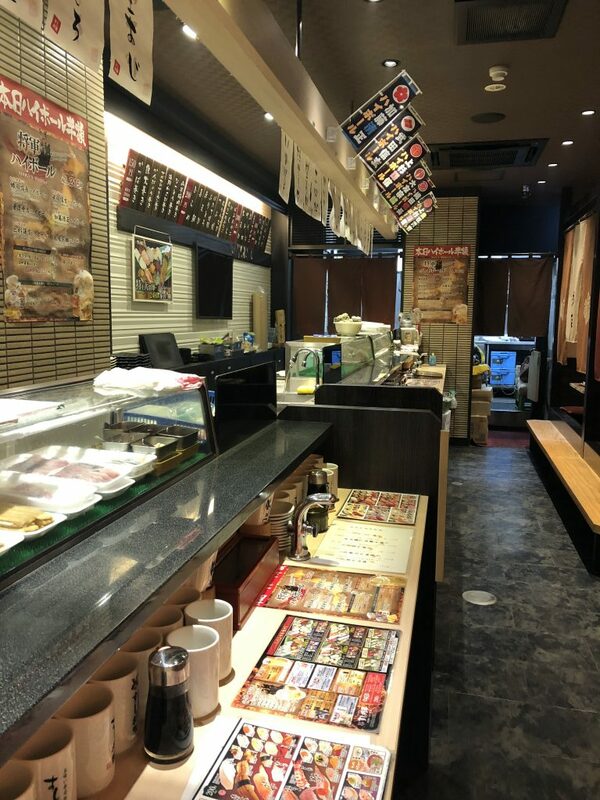 The menu shows images of all the possible options you can order and your personal sushi chef is waiting in front of you, armed with beautiful coolers full of fresh fish. Each of your pieces are lovingly prepared and placed on your very on leaf in front of you. Eat away! We couldn’t believe it when we finished our sushi (around 18-20 pieces between us) and drinks that the whole meal came to £17!! Definitely our best value meal of the trip. I did extensive research on the best way to fly out to Japan from the UK. My research included all London and Midlands airports. The only direct flight from the UK currently is British Airways / Japan Airlines which are often code shared flights. This gets you to Tokyo Haneda in around 12 hours compared to the 22 hours + that it takes with any connecting flight I could find. Upon arrival in Tokyo the monorail is very easy to get from Haneda to central Tokyo. It is also by far the cheapest way to travel. Buy a ticket at the green machines in the airport to Hamamatsuchō where you can change to any of the JR lines onwards to your destination. 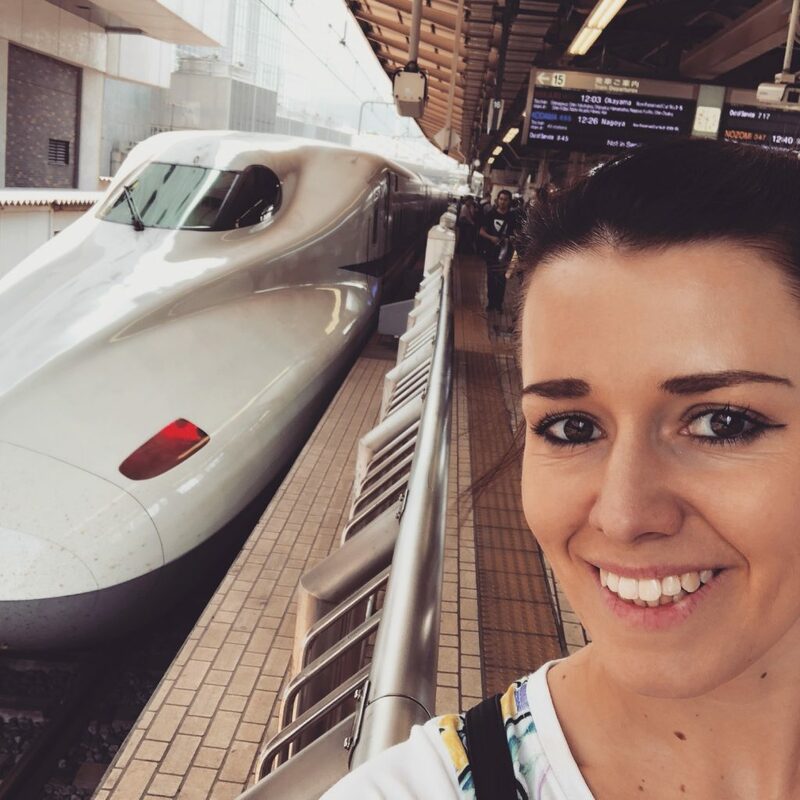 We managed to get around 5 cities in Japan using only trains, walking and two taxi journeys. The local trains, metro and subways are cheap and relatively easy to navigate. For the longer journeys it is definitely worth investing in the JR Pass for 7, 14 or 21 days to suit your trip. I did a bit of research on this before we left as it says it is only available to tourists before you get to Japan. When I saw that it is around £300 for 14 days I quibbled and decided to risk it. Luckily, you are able to buy the pass in Japan (until 2019 at least), as our first journey would have been £128 each one way to Hiroshima! Knowing the amount of journeys we were yet to do it sealed the deal. Note: You can buy the JR pass in Japan until 2019 as long as you have your passport with a temporary visitor stamp. You receive this at passport control/immigration when you arrive in Japan. In our experience, when taking the Shinkansen it is definitely worth reserving a seat. The reserved seat carriages seem to have considerably more leg room than other carriages. You will almost never hear anyone talking on the phone on public transport and you certainly never hear phones ring. Bear this in mind and turn your phone to silent mode. Many of the routes taken on the Shinkansen are long journeys. Take snacks with you rather than relying on being able to buy them on the train. There are food carts that come along every so often but they are very minimally stocked. With regards to entertainment for the journey, there are plug points down in the foot wells but very surprisingly there is no wifi on any of the trains. As an aside, the fact no train is every delayed is a complete myth but the information boards are always very well up to date. It is worth noting that foreign visitors to Japan need an International Driving Permit if you want to hire a car. Also that the tolls accept CASH ONLY! Don’t get caught out with this one – they will make you turn around to go and get some no matter how small the fee! Even if you aren’t planning on hiring a car you may wish to get a driving permit so you can take part in the infamous Maricar! Real life Mario Kart around the city streets. Find out more in Mario Kart Tokyo. Enjoy this article? Please share with friends and help Travel Creative get more exposure. Coming soon! 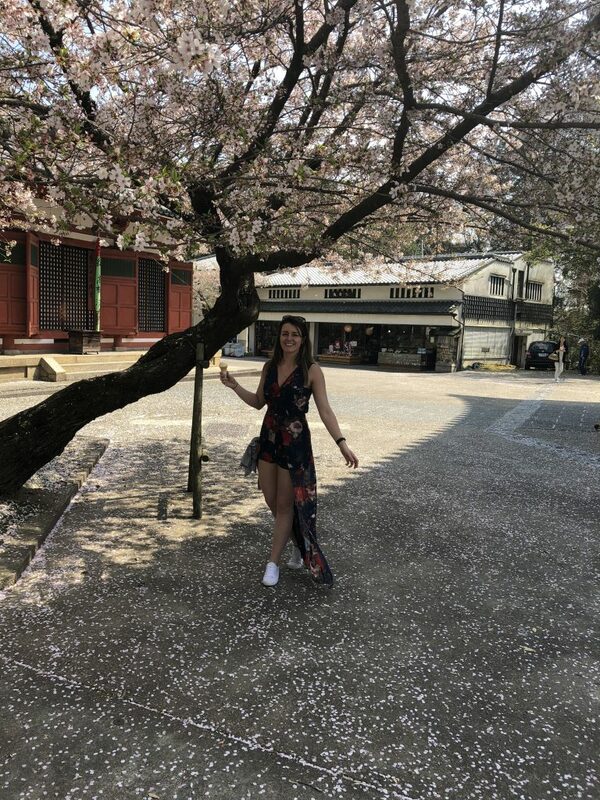 Top 10 Things to do in Japan.